A native of Durham, North Carolina, Martha New Milam was born at Watts Hospital in Durham on November 19, 1956. She was educated in the Durham City and County public schools, graduating from Jordan High School in 1975. She graduated from the University of North Carolina at Greensboro in 1980 and the Wake Forest University School of Law in 1987. 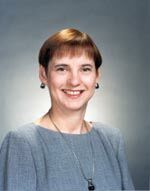 Martha is a North Carolina State Bar Certified Family Specialist, and she is certified by the North Carolina Dispute Resolution Commission to conduct mediated settlement conferences in Family Financial cases and in Civil Superior Court cases. Martha is married to Dan Milam, Jr. She is a member of Westminster Presbyterian Church. In her free time, Martha is an avid reader of mystery novel, thrillers and history. She enjoys Pilates as her primary form of physical exercise and for fun, Martha attends musical performances, musical theatre and all sorts of dance performances and events.